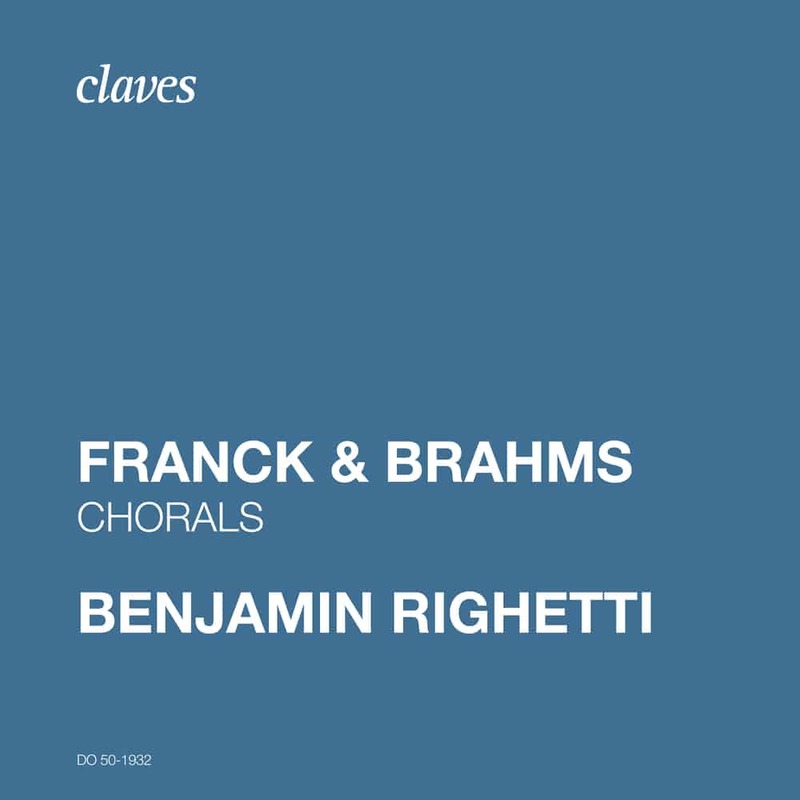 Between the two great responsibilities of an artist, renewal and continuity, this recording certainly offers well-known pages, but under a lighting probably unprecedented: to our knowledge, these chorales of C. Franck and J. Brahms had indeed never found themselves side by side interlaced on the same album. Yet, even if many aspects oppose them, the common points between these two works are not lacking. Although it refers to very different realities, the similar title of "chorale" is the most obvious link. For J. Brahms, his choice does not pose a question: the choral prelude is a normal and functional part of the German Lutheran liturgy, which introduces the song of the assembly. The tribute to previous generations is evident, with JS Bach and his organ chorales in the foreground. Under the pen of one of the greatest masters of the Lied, the choice to write instrumental pieces from these chorales, and not vocal works, to keep only the melodic line and to abandon the text. is obviously not trivial. This focus on pure music is reminiscent of F. Mendelssohn who, before him, already chose to remove the words of his "Lieder ohne Worte", romances without words, to overcome this limitation, to try to express what the words precisely prevent from saying. To put side by side these two works on a single recording, it was still necessary to have an instrument at the height, able to bend to the divergent requirements of the romantic esthetics French and Germanic! The great organ of Saint-François in Lausanne is obviously a central player in this album, and it is probable that without having had to play it regularly, the idea of ​​this assembly project would not have gone beyond the sketch stage. It is a very large instrument of 75 registers equipped with a direct mechanical traction for the five keyboards and the pedals, of bases with engravings and slides, an assistance "levers Kuhn" for the ten couplings of the keyboards , built and modified successively by Scherrer (1777), Walker (1867/1880), and Kuhn (1936/1995). At the end of this text, ready to give way to music, it is on the human and collective dimension of the work of musician that I would like to conclude. A work of collaborations and therefore of dependencies, where humility and greatness must meet each other. "O world, I must leave you" will say the last echoes of the program. Surely, to be able to leave him in such a disturbing beauty, with so much passion and serenity all at once, it took that César Franck and Johannes Brahms love it very much. That the sharing of their pages reminds us, helps us to follow their example, helps us turn our eyes.